An increasing amount of data is published and consumed on the Web according to the Linked Data paradigm. In consideration of both publishers and consumers, the temporal dimension of data is important. In this paper we investigate the characterisation and availability of temporal information in Linked Data at large scale. Based on an abstract definition of temporal information we conduct experiments to evaluate the availability of such information using the data from the 2011 Billion Triple Challenge (BTC) dataset. 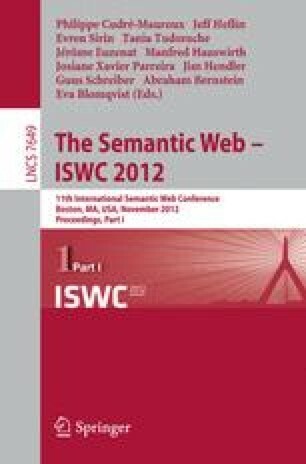 Focusing in particular on the representation of temporal meta-information, i.e., temporal information associated with RDF statements and graphs, we investigate the approaches proposed in the literature, performing both a quantitative and a qualitative analysis and proposing guidelines for data consumers and publishers. Our experiments show that the amount of temporal information available in the LOD cloud is still very small; several different models have been used on different datasets, with a prevalence of approaches based on the annotation of RDF documents.